The supremely ventilated, featured and durable Stratos Series receives a makeover that is more than skin deep for Spring 2017. 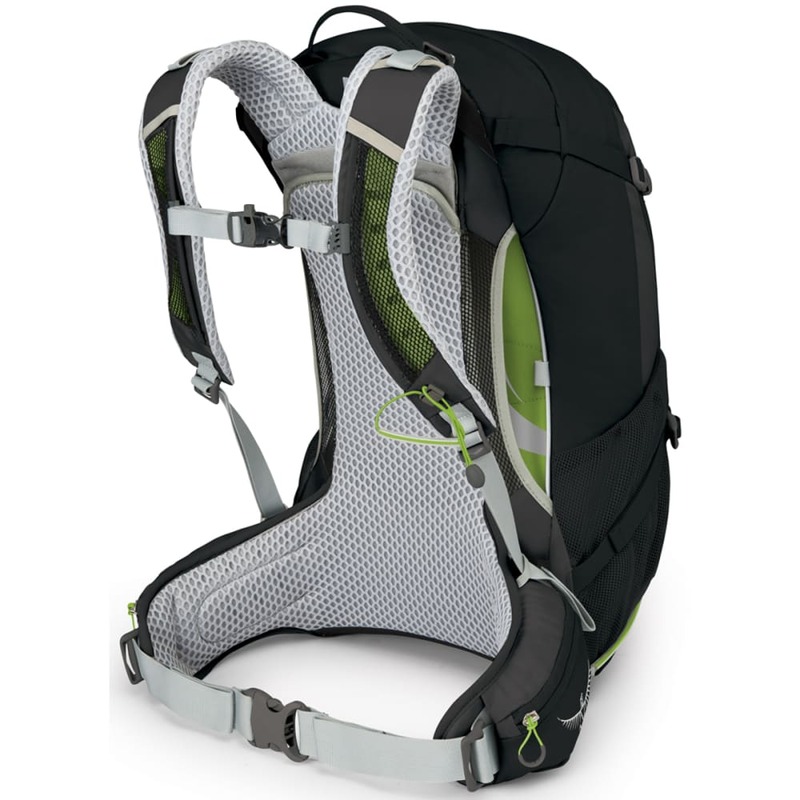 Now featuring adjustable torso lengths for improved fit and comfort with updated aesthetics, the Stratos 24 is the go-to choice for those who prefer panel-loading organization on day hikes in wet or hot environments where staying dry and keeping your cool matter most. When the weather turns, fear not: Stratos keeps your gear and pack protected with an integrated raincover. Smartly organized pocketing keeps all your equipment where you need it, when you need. 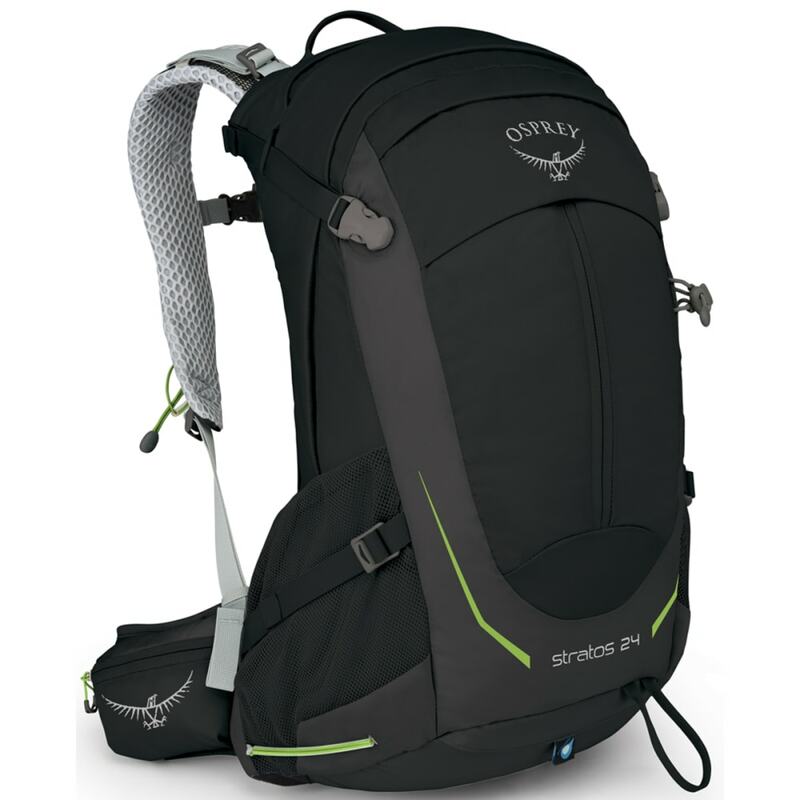 Airspeed Suspension: Incredibly comfortable and ventilated tensioned mesh backpanel with added adjustability for variations in torso length provides fine-tuned customization for every hiker and backpacker. Seamless Hipbelt Interface: Users can't feel seams that don't exist, and because there aren't any on the Stratos/Sirrus updated hipbelt, hikers can focus on the journey instead of the pack on your back. Integrated Raincover: Hope for bluebird weather but know you're covered with our integrated and removable raincover that stows in its own pocket when the sun returns. Dimensions: 22H X 11.8W X 11.8D IN. Torso Length: S/M: 16-19 in. ; M/L: 19-21 in.